The polar phenolic compounds identified within Olea europaea demonstrate a diverse subset of chemical structures found in varying concentrations with the leaf, fruit, and oil. 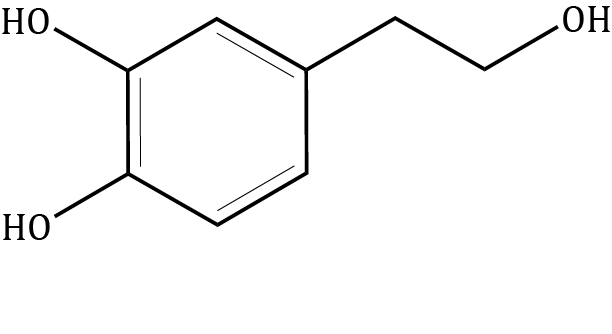 Phenols are defined by their aromatic ring structure with one or more hydroxyl groups. These compounds contribute to the stability, antioxidant capacity, and bitterness of olive oil. A range of agronomic, genetic and environmental factors govern the phenolic composition of the olive. The bioactive properties of these phenolic compounds continue to be explored.